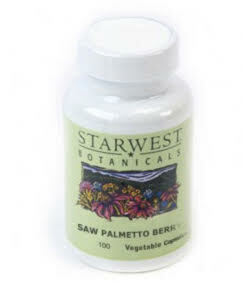 If you are looking for goldenseal root powder in bulk you should really consider Starwest Botanicals. They are one of the biggest and trusted herb suppliers in the world. This is personally where I buy mine. It truly is one of the most wonderful remedies in the entire herbal kingdom and one you should have on hand at all times. The powder is a great way to get all its benefits and we’ll take a look at bulk prices from Starwest (and a few other ways to take it). Price varies depending on quality, amount and type. 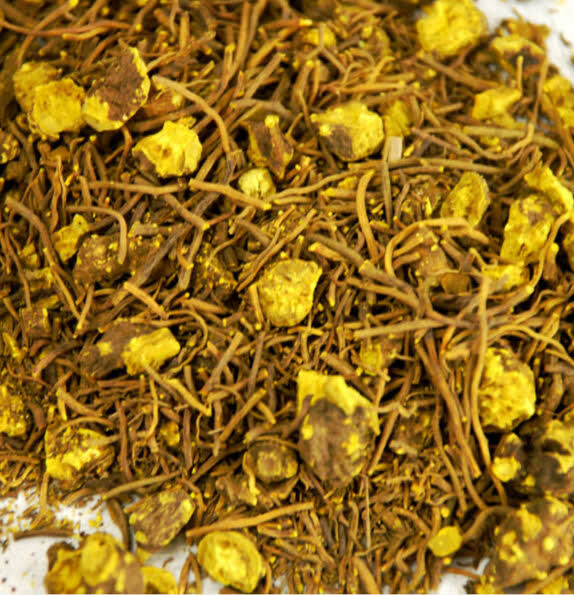 Goldenseal is a rare herb and you will have a hard time finding better quality than this. It USDA certified (grown and cultivated in the most ideal manner) and one of the best ways to get the healing and health benefits of the herb. To take, you just have add 1/4th teaspoon to a glass of hot water, let is dissolve and drink. A good time to take is when you wake up and one hour before lunch and dinner. USDA Organic is grown under human supervision and grown on unpolluted lands; these herbs are pampered. Wildcrafted is grown in nature without any human interaction. Wildcrafted is cheaper because there is no growing costs or anything like that. You just find it and harvest it. It’s a good alternative if you don’t wish to spend the extra on organic and is available in 1/4 pound. The 1/4 pound of USDA Organic, mentioned above, is sold out. Most of the medicinal value in goldenseal comes from the root. The leaves have some value, just not nearly as much. If you wish to use the leaves and leaf powder, use externally for skin problems and things of that nature; the root is what you want to ingest and use internally. You must likely came here looking for goldenseal powder but there are other versions available that can help you out tremendously. Goldenseal Alcohol Free Extract: $90.00 for 4 oz., $25.00 for 1 oz: Extracts are an extremely easy and convenient way to take goldenseal. You simply just add 10 to 20 drops to water or juice and enjoy. UJSDA Organic Goldenseal Extract: $83.17 for 4 oz., 23.33 for 1 oz: The main difference between this extract and the extract above is the use of alcohol. The alcohol used is in this extract is completely organic, and so is the entire product. Goldenseal Root Capsules: $142.50 for 500, $31.88 for 100: Capsules are a very popular way to take herbs. They don’t take action as fast as extracts but are the most convenient herbal option. You only need to take 1 to 2 capsules daily. There’s other types of goldenseal available at Starwest and you can check out the home page for yourself to see. Goldenseal is a pretty potent herb and you shouldn’t take for prolonged use without giving yourself rest. Pregnant women should avoid. Cut the dosage in half if giving to a child, weak or debilitated people and the elderly. If you take the normal amount recommended and give yourself breaks from time to time, you will be fine. Compared to chemical medicines and prescriptions it is WAY safer to use. In fact, all herbs are. 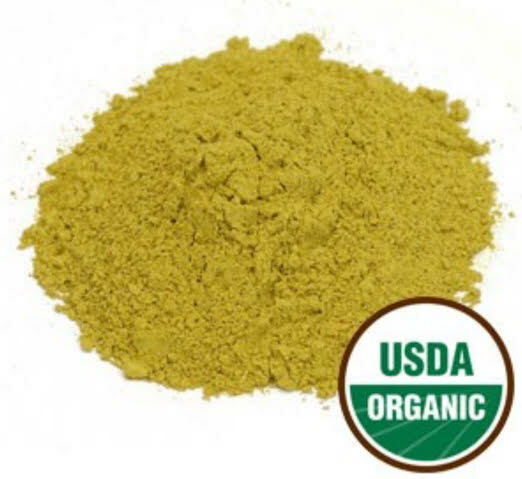 Goldenseal is a great herb and is widely recognized as one of nature’s best. If you only need or want one herb, this is the herb you want; it’s that powerful. Starwest has been my go to herb supplier and I have never once had a problem. They even have a 100 percent satisfaction gurantee. If you have any further questions or opinions, please comment below and I’ll get back to you as soon as possible. Also, share on social media for friends and family to see. I was overwhelmed with all the important information in your website. A good read to anyone who is looking for ways to improve their health. I never knew I can find these easy and natural way to improve one’s health. I would be convince and will be checking your website to get more tips every now and again. I’ll second that Dylan, Chinese traditional medicine is over 5000 years old, the oldest form of medicine known to mankind. Eventually people will realize the power of herbs and how bad chemical medicines are. There’s much to learn from the people of the past. This is an interesting article on goldenseal, I ddn’t know it had so many uses. I do have a question, whhat is tthe benefit of buying it in bulk and how do you use it? Can you make tea with it or do you put into capsules. This is all new to me, thanks for the help! Hello, Dylan! This is very valuable information about Goldenseal root effect which may be useful food supplement on the way to your health and well being. I was just wondering where this herb originally grows and why is it difficult to find a quality one? Is it rare herb? Thank you for an article. Thanks for your very informative article on the goldenseal. I have learnt much. I initially thought this was going to be one of those silly cures for something made out of poor seals. I have never heard of this herb before and definately need to look more into it. Thanks for the top quality information, do you have a link or two where I can read more about golden seal? It really is a helpful herb most a lot of people can get use from.